atg airports worked closely with leading construction group Morgan Sindall on this project. 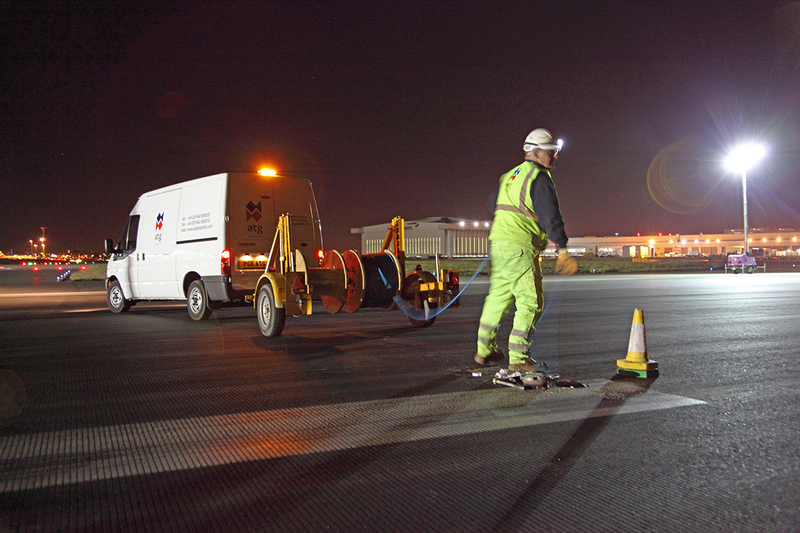 The majority of the work consisted of upgrades to the runway/taxiway services, and the transition from halogen to LED lighting in order to remain fully-compliant in the area of energy efficiency. Time-management is always of the essence, so after careful consultation the airport we agreed maximum results would be achieved by working once final flight landings had taken place at 11.00pm. 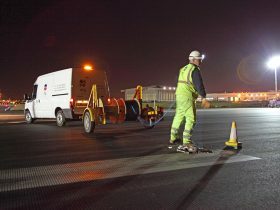 This ensured several hours of uninterrupted work, meaning we could hand back each individual area by 4.30am, will full hand back control to the airport for 6.00am every morning. Using our own dedicated in-house project teams, the work encompassed a full re-wire of both the north and south runways plus transformer installation. Additional lighting was also installed to both lead on and lead offs and rapid exit taxiways. Other areas included various light fittings and signs; switching units and runway guardlights. As well as installations, we also undertook various control system modifications and CCR (constant current regulators) modifications. All work was completed on budget and on time.